LEX CYBERIA is an established organization that renders specialized services in domain of cyber litigation, cyberlaw consulting, online image management, cyberforensics, framing of cyberlaws, and cyberlaw training & research. Its main office is based in New Delhi, India. 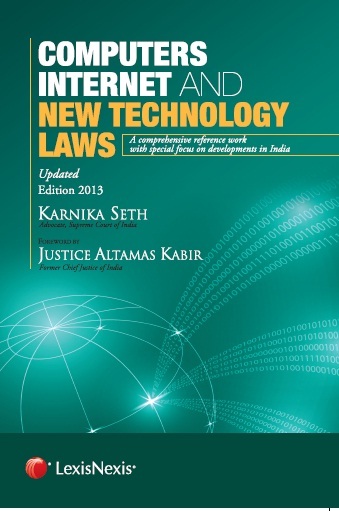 Lex Cyberia is a division of Seth Associates, a reputed law firm with core expertise in cyberlaws and Intellectual property laws located in Delhi,India. Lex Cyberia is aimed at providing a one stop solution for any matters relating to cyberlaws in India. We undertake cyber crime investigations and provide active litigation support to clients in cyberlaw and Intellectual property infringement cases before diverse forums in India. On the consulting front, Lex Cyberia renders expert advice on cyberlaw issues including formation of e-contracts, legal recourse against digital piracy, formation of website terms, combating online defamation and identity theft amongst other issues. Lex Cyberia is committed to deliver apposite legal solutions for complex multi-jurisdictional internet and e-commerce related issues. It renders a spectrum of legal services to its domestic and international clients such as advice on social media laws,developing e-commerce models, legal and regulatory compliance issues , cyber investigations and litigation support for hacking cases, credit card frauds,cyber bullying, online defamation,identity theft cases, phishing, copyright & trademark infringements on the internet and data protection issues amongst other matters. At Lex Cyberia, we also conduct customized workshops for training corporate entities’ key professionals (on request) and assist and advise on drafting a robust IT policy and sound Employment and Vendor contracts for companies. Lex Cyberia is dedicated to spreading awareness on cyberlaws among all stakeholders and guiding the development of Internet law in India. Our team consists of experts and professionals including cyberlawyers, intellectual property experts, technical experts, forensics investigators and consultants with the specific industry expertise and resources required to meet all client requirements. Dr. Karnika Seth, Managing Partner, Seth Associates was conferred the National Gaurav Award for exemplary contribution to the field of Cyberlaws in India. The firm rendered cyber legal consultancy for the launch of a social media portal in the Asian market. The firm represented a U.S based company in a high stake data theft & copyright infringement case in India. © Copyright 2019 Lex Cyberia. All Rights Reserved.